Meanwhile, the condition of GJM supporter Purba Sherpa (32), a physically challenged person, who attempted self immolation on Thursday continued to be critical at the Darjeeling Sadar Hospital. Severe shortage of food stuff under the public distribution system has occurred with the bandh crippling the function of ration shops in the hill town and nearby areas. 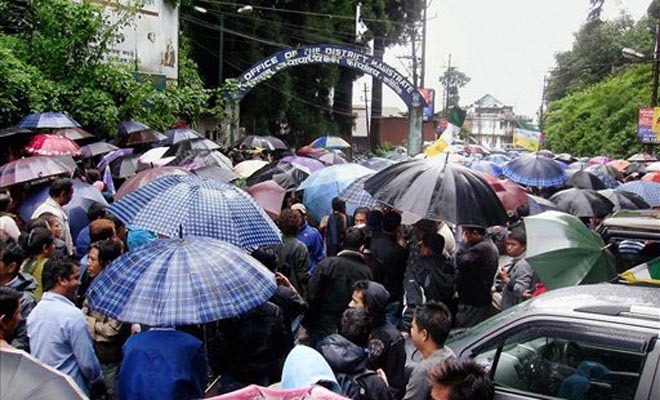 The bandh, called in demand for separate Gorkhaland, has affected vehicular traffic which was reported to be thin on the national highway 31 A, sources said. The new Darjeeling district magistrate Punit Yadav will take over charge today from Soumitra Mohan, who was transferred in the wake of the stir.